It has been said that moths are drawn to burning candles because they confuse flames with the light of the moon. Moths, after all, use moonlight to navigate a path through darkness, but light from elsewhere reliably drags them off-course. The result is a split in perceptions. From the moth’s perspective, the path remains direct although the destination is unreachable: the creature believes itself to be flying straight on towards its goal, even as it fails to close the remaining distance. From the perspective of an observer, however, the moth has been snared into a spiral with no way to break free; it flutters around the flame in a way that makes a misleading light the centre of an experience, surveying the object of its desire continually from a distance. 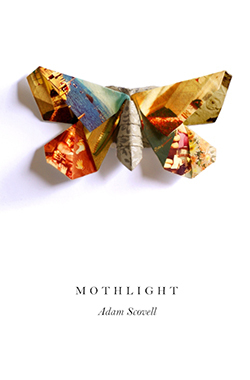 In his début novel, Mothlight, Adam Scovell has written a book that shadows the movements of the captive moth. Scovell’s narrator takes aim at a very particular objective, albeit one that is hazily conceived, only to end up whirling around in circles, unable to seize his prize, fixating on an ideal in a frenzied pursuit that robs him of his sanity. The narrator’s name is Thomas, though he discloses very few meaningful details of his life. He is a young man involved in academic research, his area of interest being lepidoptery. He says he developed his fascination with moths as a result of his acquaintance with an elderly woman named Phyllis Ewans, who he met when he was a boy in Cheshire. Phyllis, “Miss Ewans”, lived on the Wirral Peninsula, close to Thomas’ grandparents, in a house she shared with her sister, Billie. That was where she cultivated her two great interests, walking the hills of Snowdonia and collecting and studying moths, and that was where she inducted Thomas into her idiosyncratic ways. After a series of events leads to the death of Billie and brings about Thomas’ closer involvement with Phyllis, Thomas begins to function as the ailing woman’s carer, and then, following her death, he becomes the executor of her estate. As he narrates Mothlight, Thomas describes in detail the character of Phyllis Ewans and the significant events of her past, focusing on her activities as a walker and lepidopterist while also considering the extent to which his affection for these activities was bequeathed to him by her. But of his own character and past he has little to say; he is strikingly, tantalisingly opaque. Once, halfway through Mothlight, he refers to having been involved in just “one brief romance” which ended, he says, “like most of my own social relations… as soon as my obsessions with walking and moths had become readily apparent.” More generally, he mentions that he is employed as an early career researcher at a university in London, and he occasionally makes reference to colleagues who remain nameless. The only significant event he describes at length, in all its complexity, is what he calls “the great calamity”. He frankly admits that this calamity amounted to a “breakdown”, “in which the death of Miss Ewans cast my obsessions into a startling cage from which I could not escape”, and Mothlight is essentially a record of his efforts to recover himself. In this last respect, the setup of Mothlight calls to mind the opening pages of W.G. Sebald’s The Rings of Saturn, and it would be fair to say that Mothlight is a novel written in a Sebaldian spirit. The text is interwoven with photographs that Thomas scours for telling details, and the rhythms and tones of Thomas’ narrative voice carry recognisable echoes of Sebald’s. His methods, too, are Sebaldian; he embarks upon lines of inquiry with academic precision, but then drifts off into digressive tracts and recursive loops, and in his descriptions of the behaviour of hawk moths, convolvulus, and parasitic wasps, he does for entomology what Sebald did for ichthyology in pondering the bioluminescence of herring. In Sebald, of course, the combined effect of these manoeuvres is notoriously melancholic — melancholy being the middle ground between the raw panic of the narrator’s experiences and the reticence, pedantry, and willed composure of his narrative voice. In Mothlight the general effect is much the same, heightened by the fact that Scovell’s narrator rivals Sebald’s with his listlessness and peripatetic habits, but there are also a couple of new elements in the mix. There’s more of an overtly gothic flair to Mothlight than in any of Sebald’s novels, and a greater willingness to look directly at the sheer distress of a psychological breakdown as it is occurring, so that Scovell ultimately pushes the Sebaldian novel into the realm of the genuinely surreal. I thought that I would use them later as a map to find the heart of her secrets. She was leaving me the means with which to communicate with her after she had departed. It occurred to me that I had not really needed her alive at all, and that most of what I required was probably right here in the house. My hand reached for the piece of card on which the poplar hawk moth had been mounted, almost slamming it down on the table so that Heather could read the inscription, the words that I had hoped would force her hand. I could not take another moment of this torture, and blurted out another direct question. “What did Miss Ewans do?” I said with a manic disposition, my hands shaking as I drowned in the cacophony of moth wings. “A manic disposition”: the disposition of the moth as it draws ever nearer to the flame, draws close — too close. What does it see when it teeters towards the fire? A blitz, a searing whiteness, a blaze too intense to bear? Then black. 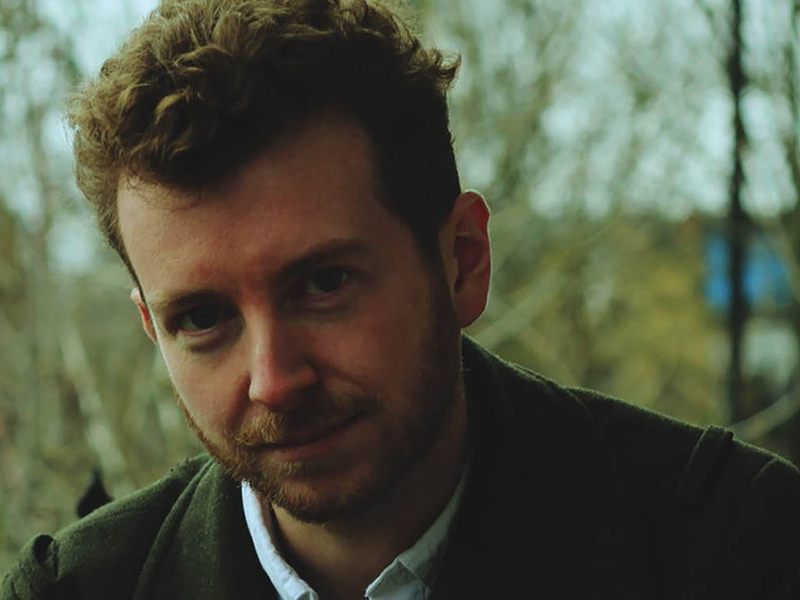 That is what the flame is to the moth: not the caress of the moon, not a pale waymarker, but a source of dark illumination — a light that seduces, troubles, obsesses, and obliterates — and Thomas’ narration is a testament to the agony of its touch. 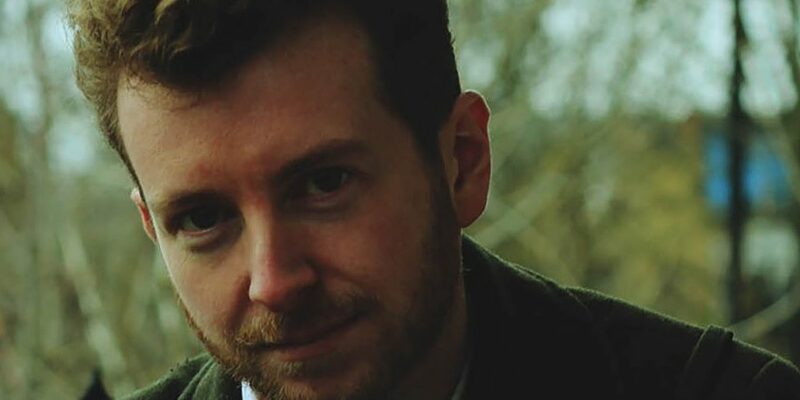 In Mothlight, Adam Scovell has written a dark little novel of unaccountable power, power that builds and builds as the narrator increasingly believes himself bound for a radiant truth. It is a novel dense with disturbing ideas, textured by subtle shifts in mood, and exacting in the execution of its ornate technicalities. Even when it doesn’t fully convince, it moves in mesmerising and tremulous ways, leaving behind a sensory impression every bit as vivid as the trace of light on the retina after the flame has been snuffed out.